Hyper-Flex is an irresistible stress toy.Promotional Hyper-Flex Disc. Hyper-Flex means incredible elasticity with unparalleled play value and stress relief. 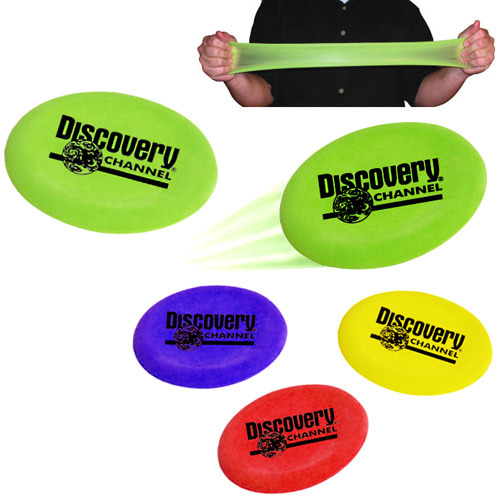 So stretchy and soft that its more than a flying disc.